-Seventeen templates that will spark your own creativity in building a compelling and unique statement. Each template addresses a different motivation for wanting to enter veterinary medicine. Applicants will find this guide a tremendous resource in writing the most important document of your career. This guide helps you craft a unique personal statement that showcases your abilities and attributes. It does not write the personal statement for you but guides you through the process by stimulating your own creativity and imagination. 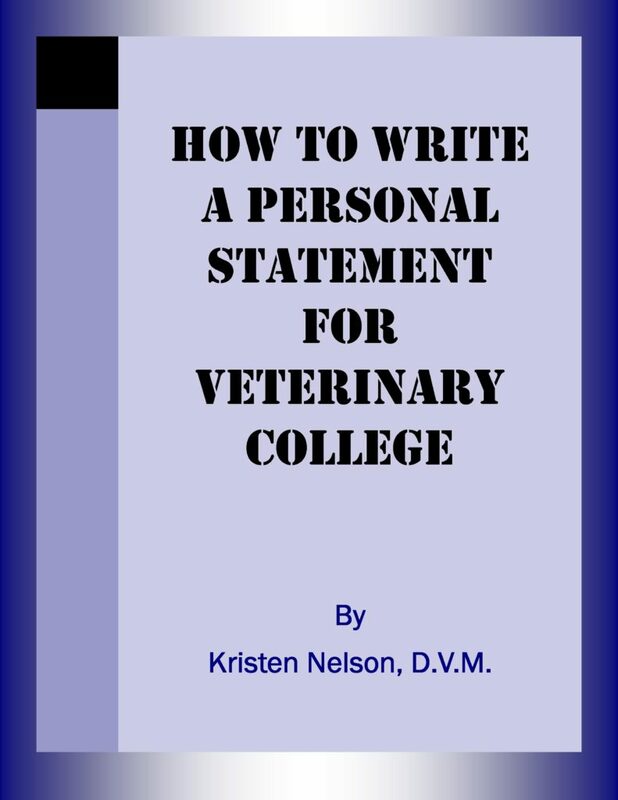 To purchase How to Write a Personal Statement for Veterinary College click here or go to Smashwords.com at the following url http://www.smashwords.com/books/view/170679.